Bobby Carlsen Photography announced this week its plans to locate to the Atrium Building at 312 Main St. in the River District. Carlsen, an international award-winning photographer, has served the Southern Virginia and greater Piedmont regions for over 10 years and offers photography and design services for businesses, and portraiture for newborns, children, high school seniors, and families. 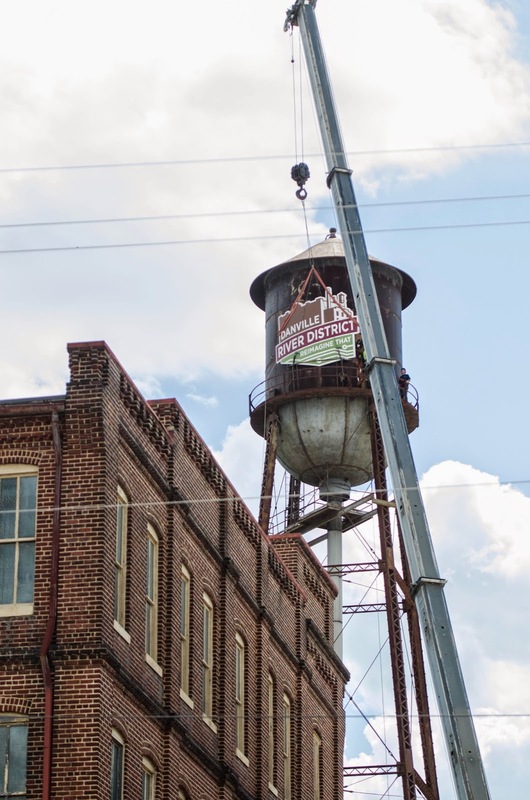 Corrie Teague, assistant director for the Office of Economic Development, explained that the city’s development plan was to fill not only street level storefronts, but all floors of buildings in the River District, noting the positive outcomes they can have on lower floor tenants. The new 3,500 square-foot, multi-level studio has a Main Street entrance and will include a reception area, galleries, a traditional strobe-light photography room, offices, a cathedral skylight atrium, and a large floor-to-ceiling natural light photography room on the building’s third floor. In addition to operating his studio full time, Carlsen is an educator and speaker regularly contracted to address other professional photographers at conventions and meetings around the nation. He is actively involved in several professional organizations, and is an area coordinator for the non-profit organization Now I Lay Me Down to Sleep. Carlsen plans to open the studio this summer. For more information about Bobby Carlsen Photography visit www.bobbycarlsen.comor contact the studio at studio@bobbycarlsen.com or (434) 836-6042. 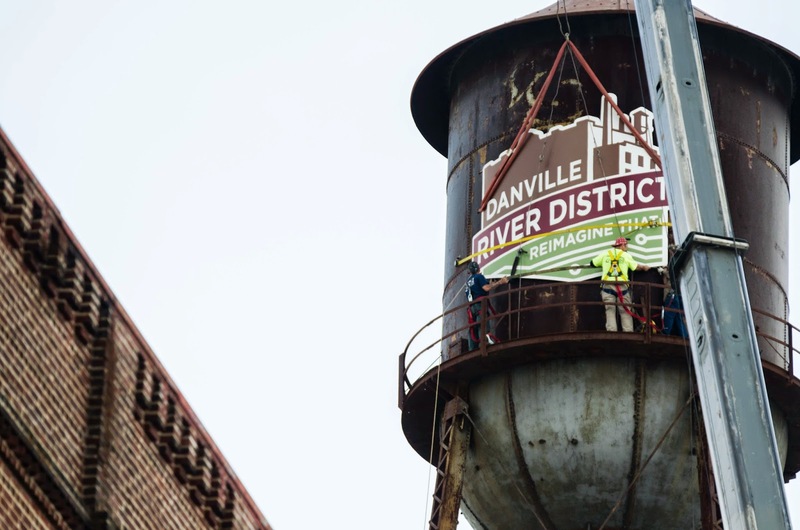 For decades, downtown Danville was the place to be. After reaching a peak of activity in the 1950s and 1960s, the city’s center shifted away from downtown to outlying shopping centers. Rippe’s has operated in downtown Danville since around 1907. It was just one of the many stores that filled every space in downtown Danville. “You had fine department stores and you had modern department stores,” he said. Danville residents who were youths at the time recall toy stores, hardware stores, women’s specialty shops, jewelry stores and movie theaters. In addition to those, many professional offices for doctors, lawyers and more were located in second floor spaces above shops. Rippe remembered his father’s story of the first spot for the family store. Rippe’s father and his banker walked up and down Main Street, seeking any open spot. They only found a 20-25 foot-wide alleyway. That space eventually grew to take over vacated adjoining properties. Rippe remembers sitting high up on a ladder and watching the bustling activity of the store and downtown area. In a few years’ time, that scene changed entirely. Barry Koplen, whose family founded Abe Koplen Clothing Company, one of the oldest merchants in downtown Danville, was a teenager during the 1960s. 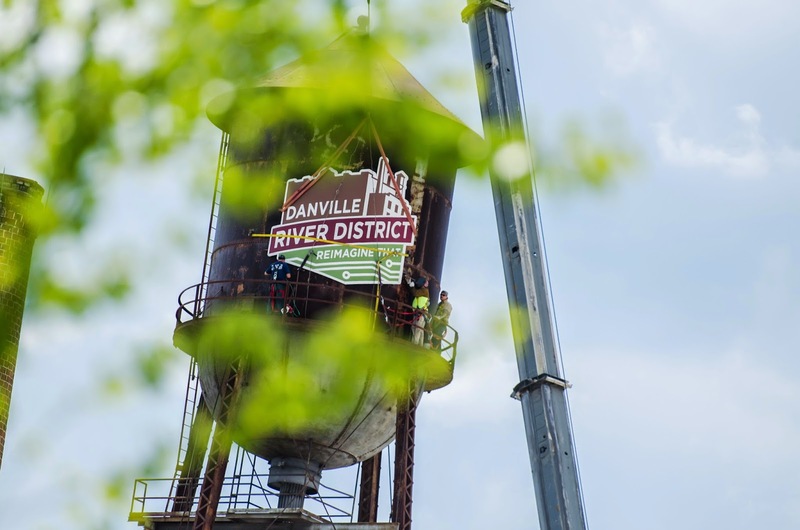 He remembers Danville as a place for young and old, filled with ways to spend your days. In exchange for household chores, he received an allowance of 21 cents and a couple bus tokens. With that, young Koplen was able to hit the movies on Saturday mornings. His favorites were the “Tarzan” and “Lone Ranger” movies. 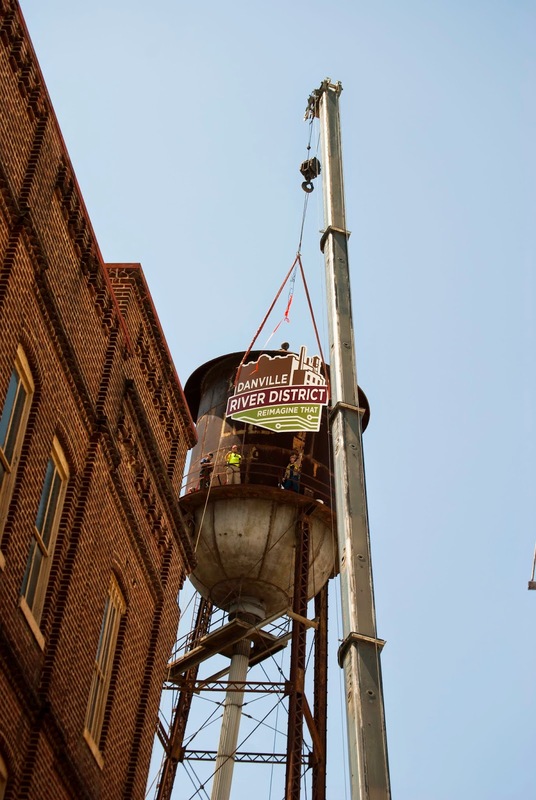 “Downtown Danville was a very vital place. 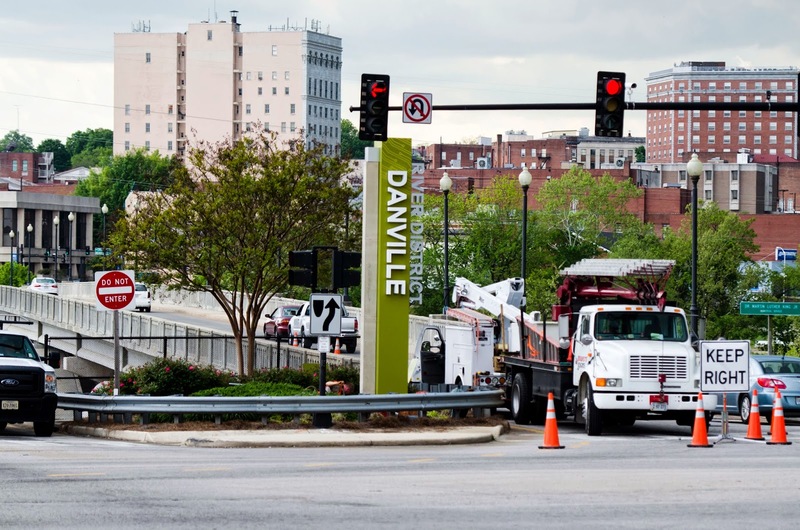 The thought about anything that might challenge the centrality of downtown Danville was remote,” Koplen stated. The restaurants dotting every block and corner were not simple Southern cooking establishments. Instead, they were wide ranging, from Jewish food restaurant Eric’s Delicatessen to a Greek food restaurant. The Downtowner had a happening nightclub that was considered a hot spot for nights on the town. 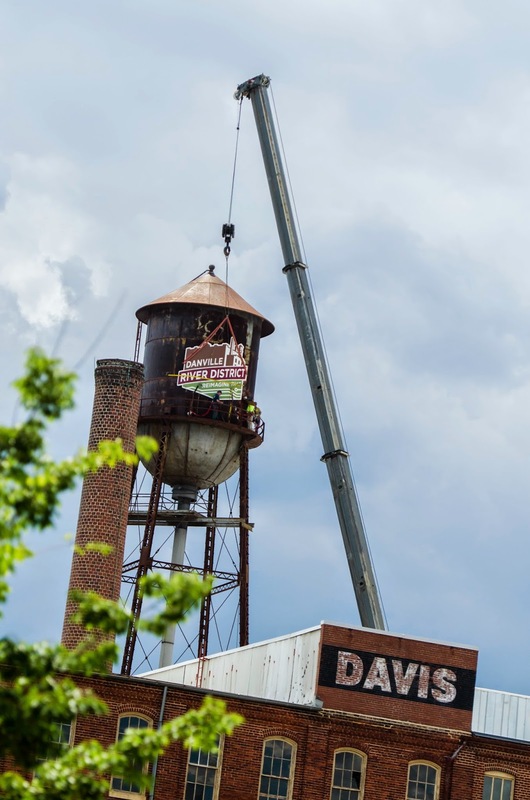 “You really didn’t have to leave Danville to find whatever entertainment there was,” he said. Danville offered more than places to spend money. It also had a unique feeling and spirit about it. Koplen recalls his father saying he would ride the trolley for the entire line, just to watch the city in its splendor. “There was this incredibly sweet tobacco smell that just infused the air. There was something special about that. When that time came, it oftentimes coincided with the time when the fair would come to town. There were just some magical moments like that,” Koplen said. Soon developers spread out away from Downtown with Nor-Dan, Riverside or Sherwood Shopping Centers. 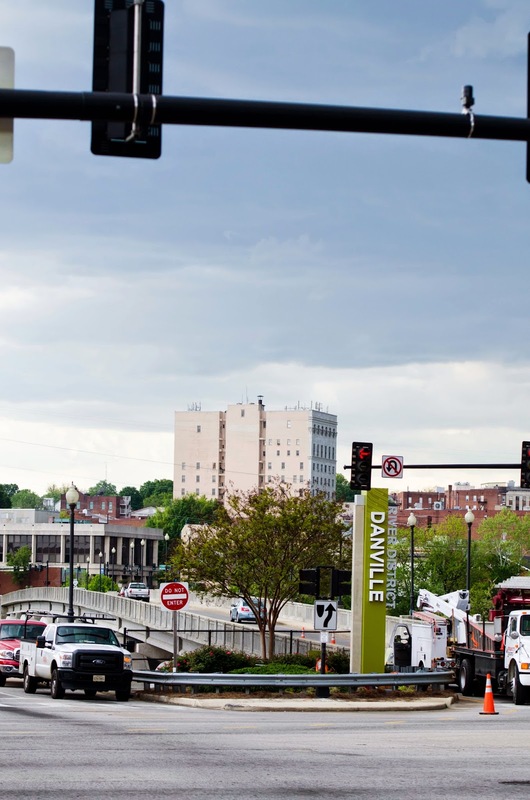 One of the biggest motivators in the move away from Danville’s downtown was the introduction of the Piedmont — now Danville — Mall. In preparation for construction of Piedmont Mall, a study was conducted on the effects of a shopping center that size. 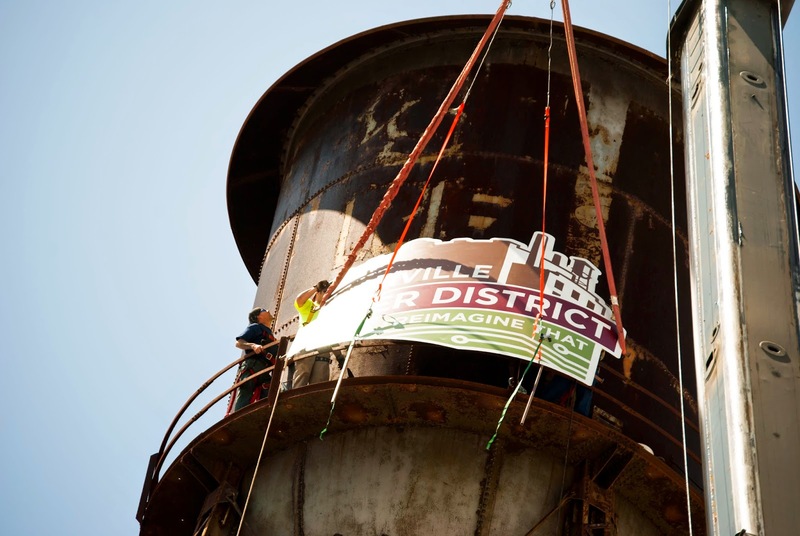 The results weren’t promising and proved to be a forewarning for the historic center. 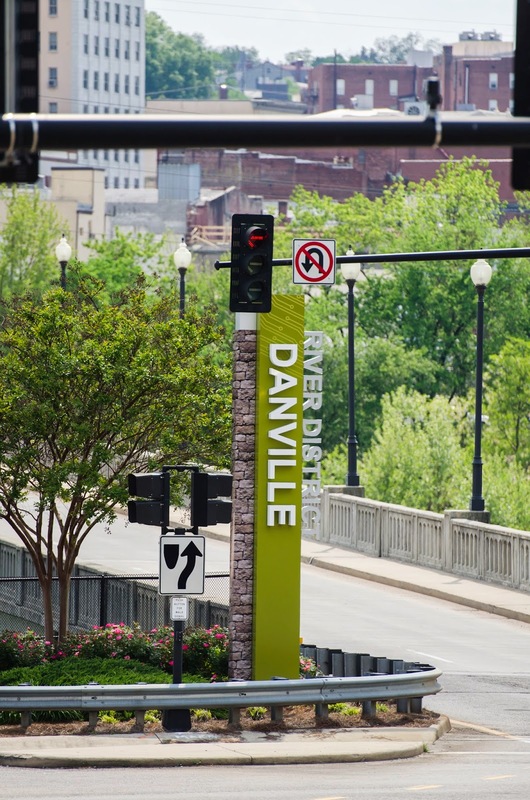 Danville Economic Development Consultant — and former mayor and council member — Linwood Wright remembers his time as a young child in downtown Danville. 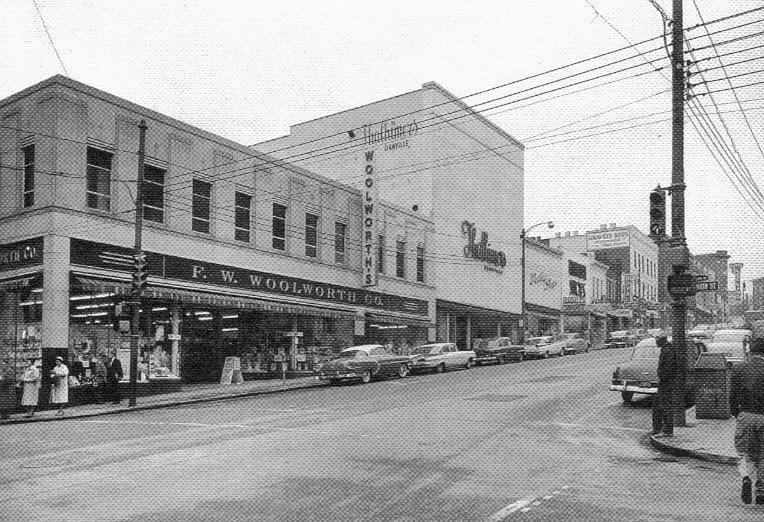 Wright recalled when large department stores like Sears and Belks were found only in downtown. Those days are over and likely won’t ever be seen in the same setting again. “An anchor department store downtown makes absolutely no sense [in downtown Danville today]. An anchor department store may not make sense anywhere with online shopping. Things have changed and will continue to change,” Wright observed. Retail in general underwent a transformation after the 1950s and 1960s. Wright remembers a trip to the grocery store only involving waiting for items to be assembled by the shopkeeper. Individual customers weren’t the one’s picking up items off shelves. They only waited and paid. Equally, merchants would visit larger markets to purchase new store merchandise. There they might find an item suited for a particular individual. Upon return to the store, shopkeepers would contact the customer they had in mind and usually make a successful sale. 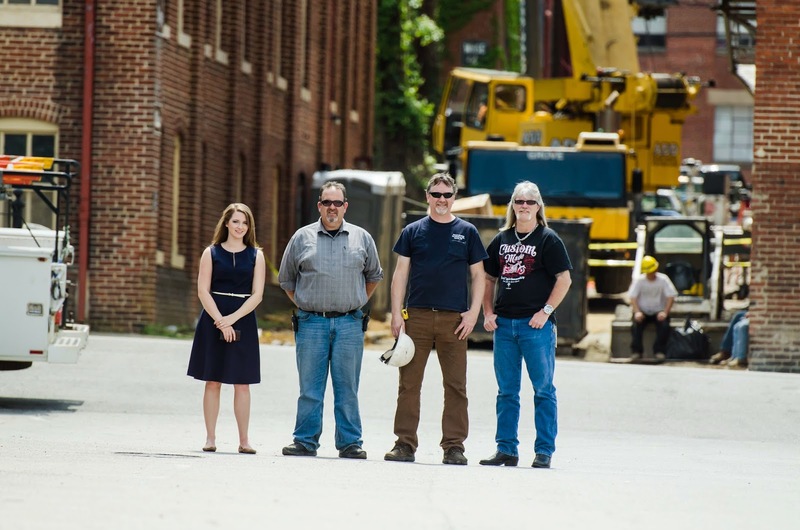 This evolution of downtown Danville may have been crippling for businesses and professionals located there, but they were certainly not alone in their suffering. “The vacation of Main Street downtown Danville as a shopping center was absolutely not unique to Danville. It happened in every city in the United States with the possible exception of the few largest cities that continued to have a vital downtown area and by largest I mean New York, Chicago and Los Angeles,” he said. The changes were not immediate. 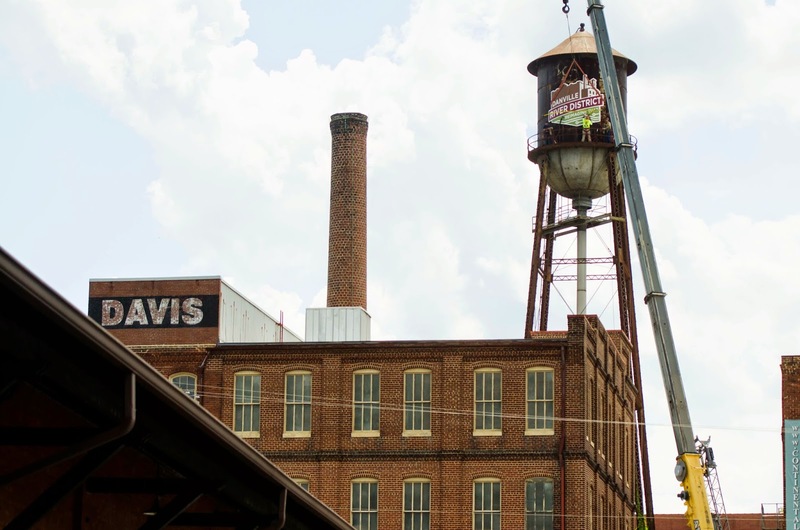 It took about 25 years for the downtown exodus to run its course and another 25 years for the revitalization of downtown, Wright estimated. However, the River District likely will never regain the same strength it had. As for the reason behind the shift, it was an innovative way to live. Looking into Danville’s future, it’s challenging to guess the direction of consumer wants and dislikes. Like the rest of life, the only thing that is constant is change. 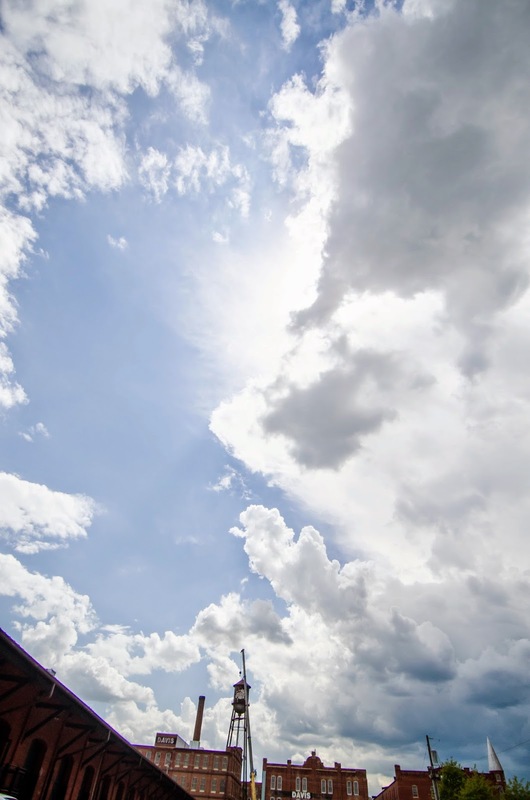 “Most of the time, consumers embrace change. It’s one of the few areas of life where we do embrace change, but we like to think that we are participating in the newest and greatest,” Wright stated. 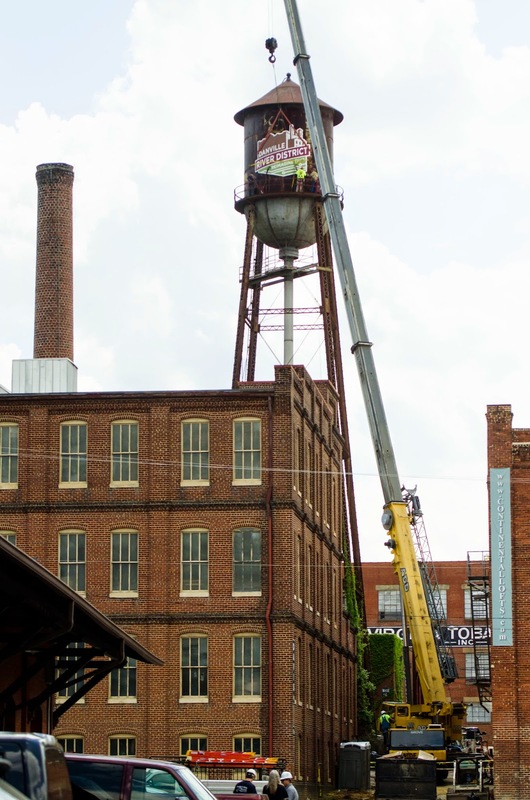 The number of residents filling up former tobacco warehouses and vacated professional spaces is growing. Developers are noticing the momentum and new restaurants and stores are popping up in long-abandoned spaces. In Koplen’s opinion, this will create a cycle of growth. Morrison reports for the Danville Register & Bee. Click here to access full report. It all started with the river! 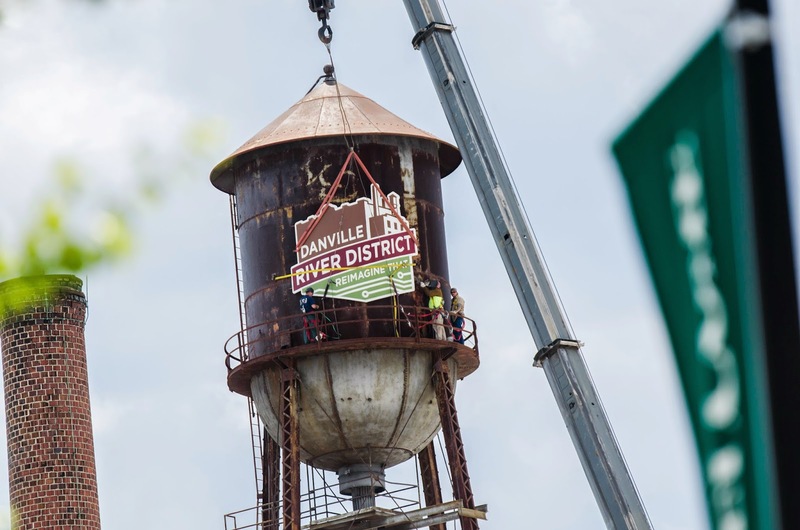 In the 18th century, the Dan River was the heartbeat of what was to become Danville. In his book, “Pittsylvania County: A Brief History,” Larry Aaron included a chapter on a burgeoning community along the Dan River. Though Danville is now a city separate from the county, it was a “community within Pittsylvania County” in its early days, Aaron points out in his book in which he also called the Dan “the heartbeat” of what was to become a city of 43,000 people. 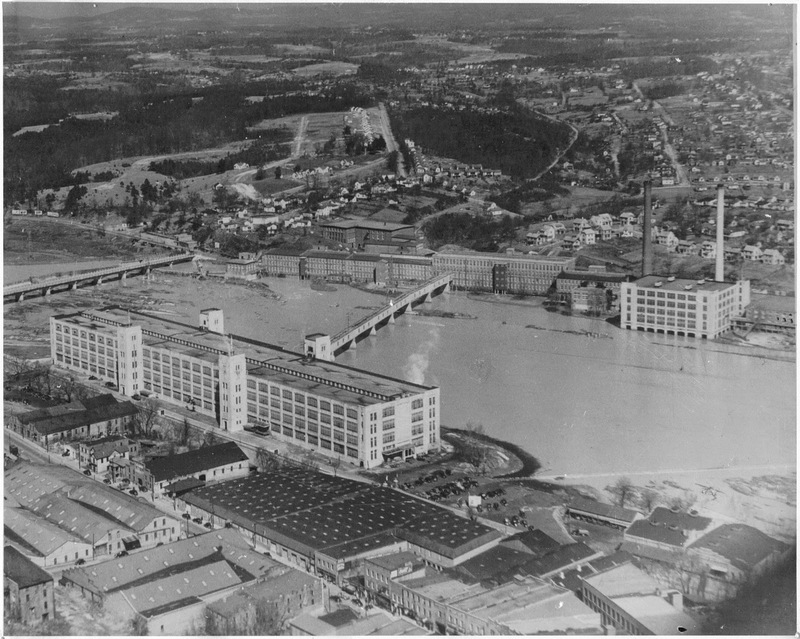 Wynne received 340 acres — through a land grant — below an area called “Great Falls” on the south side of the Dan River, according to McFall’s book. Wynne was a friend of William Byrd, who conducted the survey in 1728 to determine “long-disputed boundary dividing Virginia and North Carolina,” according to McFall’s book. Settlers began migrating to the area between Virginia’s tidewater and the western mountains following Byrd’s survey, McFall wrote. Wynne moved his family to the area in 1753 and built his home near the falls, Aaron wrote. Eventually called “Wynne’s Falls,” it was wilderness through the Revolutionary period, with a path from the south across the river and disappearing into the forest 150 feet above the riverbank on the other side, “where today’s Main Street crosses the river,” Aaron wrote. John Barnett, who owned land on the river’s south side, put in a ferry and later placed a bateaux (a small, flat-bottomed rowboat) in the river for trading purposes, Aaron wrote. According to McFall, commercial traffic volume created the need for tobacco inspection in the immediate area instead of sending it down the river. In 1793, 15 Pittsylvania County citizens petitioned the state legislature for a town next to Wynne’s Falls, Aaron wrote. 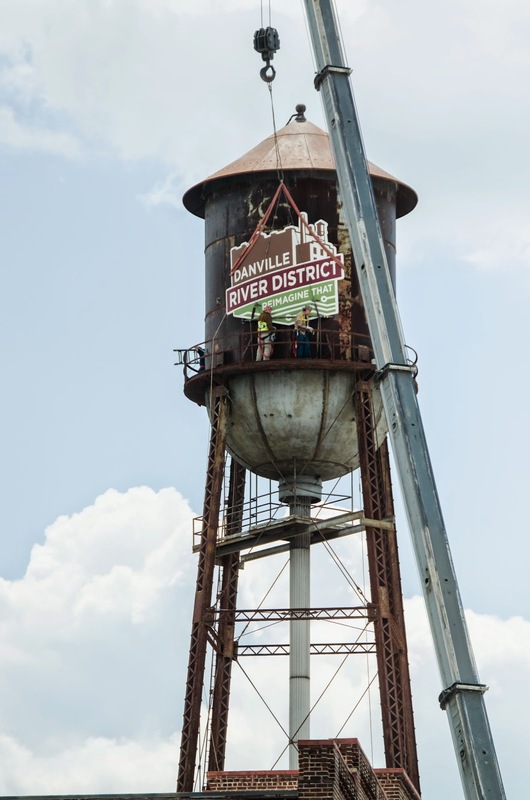 The town of Danville was established on Nov. 23, 1793. From September 1795 to September 1796, Danville exported 135,000 pounds of tobacco and an additional 70,000 pounds were in warehouses awaiting shipment, according to McFall. By the early 19th century, community members began to recognize the river’s potential for power, according to McFall. Gen. Benjamin William Sheridan Cabell, a veteran of the War of 1812, moved to the community and helped form the Roanoke Navigation Company around 1816. He built a canal for boat traffic around the river’s falls, McFall wrote. In the 1820s, Danville had 59 buildings along Main Street, including a newspaper, schools, a tavern, a hotel and a Masonic Hall, according to Aaron. Danville during the 1820s “was primed for a period of prosperity,” Aaron wrote. “Increased trade from dredging the rivers, building bridges and canals and securing the state inspection site for tobacco duly increased population, resulting in more tobacco factories opening, as well,” Aaron wrote. More tobacco made its way to Danville from the Danville and Fincastle Turnpike (later called Franklin Turnpike), from Lynchburg Stage Road to the north and south from Caswell County, North Carolina, by the middle of the 19th century, according to McFall. 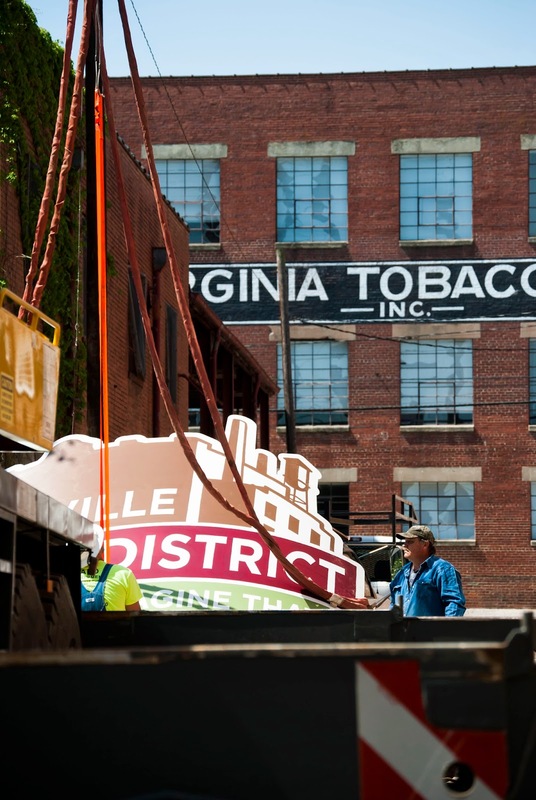 “These highways allowed tobacco to reach Danville more easily and spurred the town’s growth,” McFall wrote. The town had close to 500 residents by that time, and was a hub for tobacco leaf marketing and manufacturing, McFall wrote. The industry was so strong in Danville that the community’s manufacturers survived the Panic of 1837, according to McFall. However, the town’s four tobacco warehouses closed and state inspection stopped, according to Aaron. 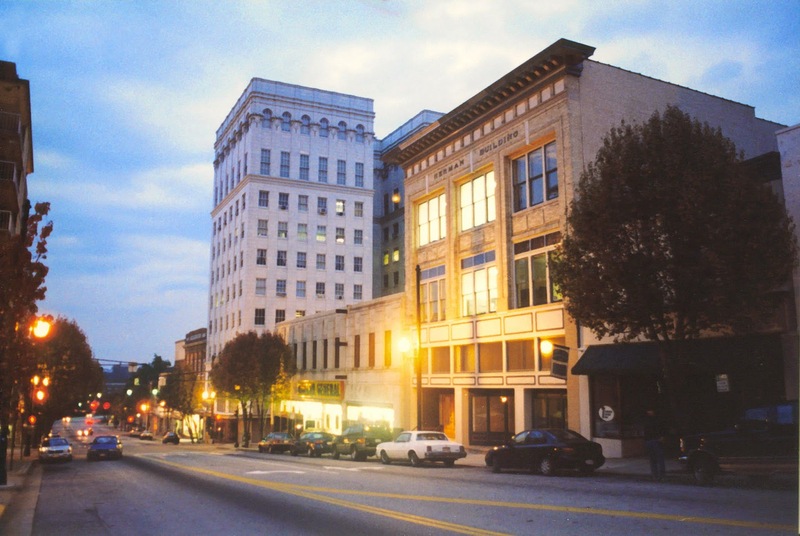 Danville suffered through an economic depression for the next 20 years, Aaron wrote. A fire destroyed most of the town’s commercial district in 1847, and in 1850, a flood washed away the toll bridge across the river, according to Aaron. Maj. William T. Sutherlin, with help from other businessmen, built a wood-covered bridge that lasted most of the 19th century, Aaron wrote. It was a predecessor to the Main Street Bridge, now the King Memorial Bridge. Danville’s population grew to 2,000 by 1850, but only four houses were in North Danville. However, the north bank of the Dan River had a flour mill that was built in 1831, according to Aaron. By 1854, Patton, Ridge, Craghead, Wilson, Loyal and Lynn streets had been laid out, according to Aaron. In 1854, another fire brought severe losses downtown, Aaron wrote, citing a notebook kept by Danville coroner Jacob Davis. The fire burned the area between Craghead Street and the toll bridge and both sides of Main Street, southside. The list of business shows how much the town had grown, Aaron pointed out. “Businesses destroyed by fire were several dry good and grocery stores, an apothecary store, a barbershop, butcher shop, several lumber houses, a boardinghouse, a hotel and a confectionary shop, and W.T. 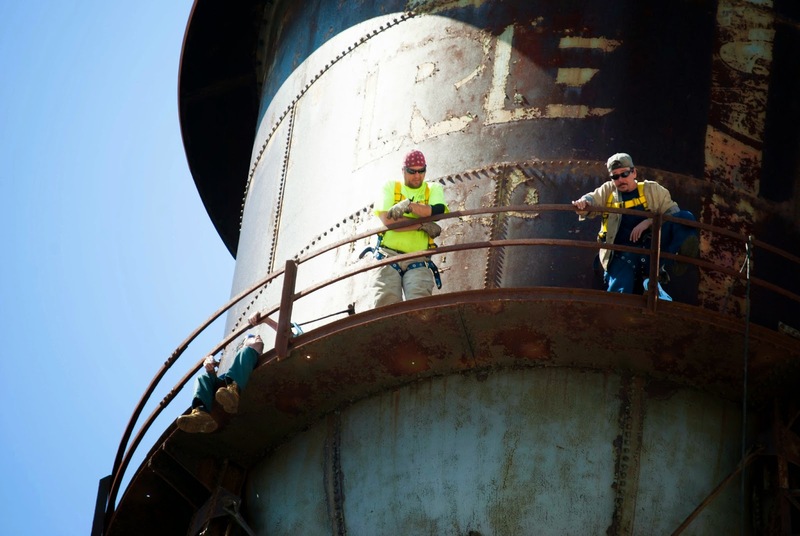 Sutherlin’s tobacco factory lost hydraulic presses and fixtures,” Aaron wrote. In 1856, the Danville and Richmond Railroad — an idea from Whitmell P. Tunstall — connected Danville to eastern markets, Aaron wrote. 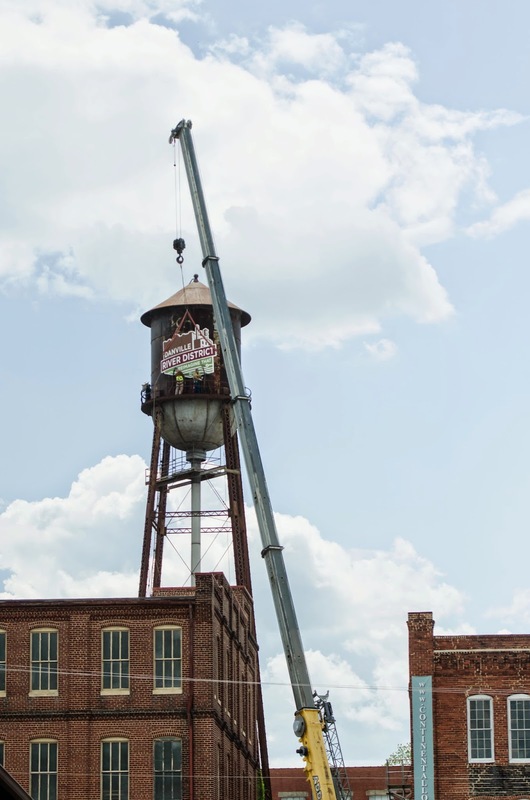 The railroad “secured its pivotal place in Danville’s economy by making possible the rapidly expanding growth that accompanied its presence,” McFall wrote. 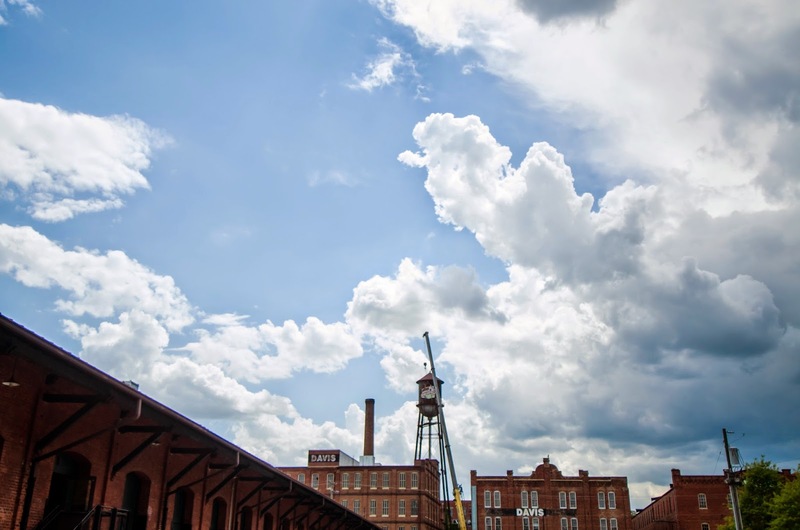 Also in 1856, Sutherlin built the second-largest tobacco factory on the corner of Lynn and Loyal streets. It was a prison during the Civil War and the building still stands today. The war did not hamper the town’s economy, which flourished, McFall pointed out. 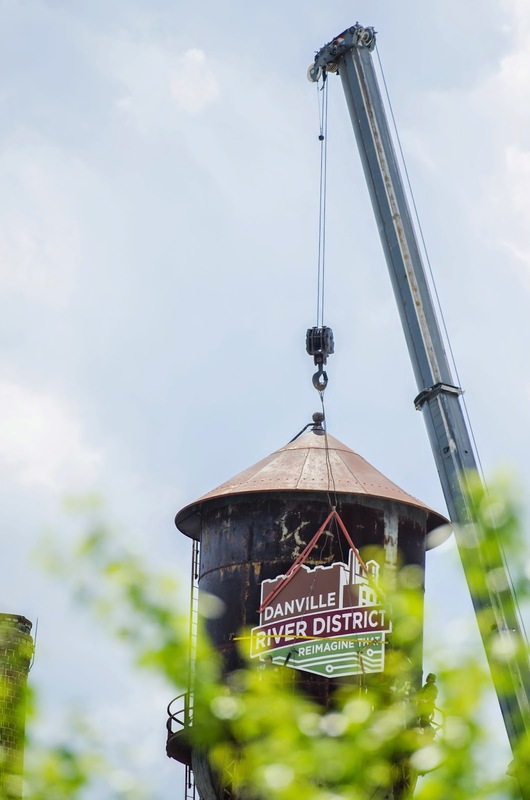 Crane reports for the Danville Register & Bee. 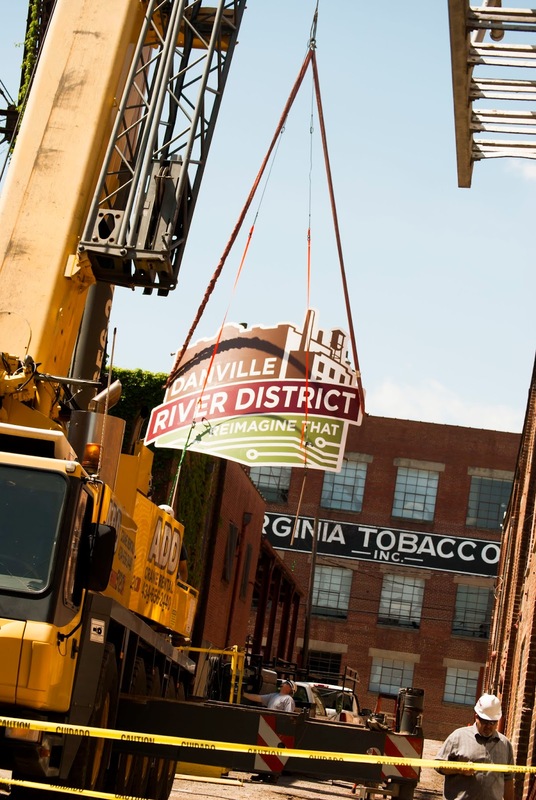 New gateway signage to our River District! 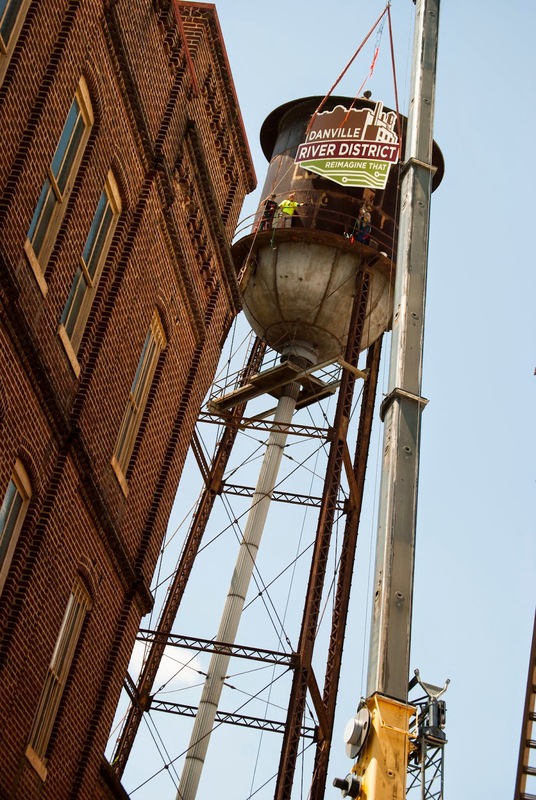 The new River District Logo being installed on the water tower! Reimagine That: Brand emulates progressive, upward movement! 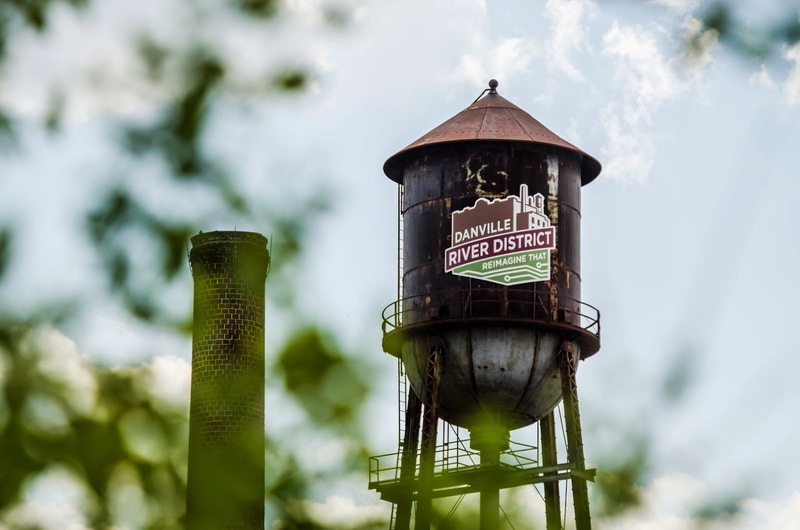 Danville’s River District has existed for more than 200 years. 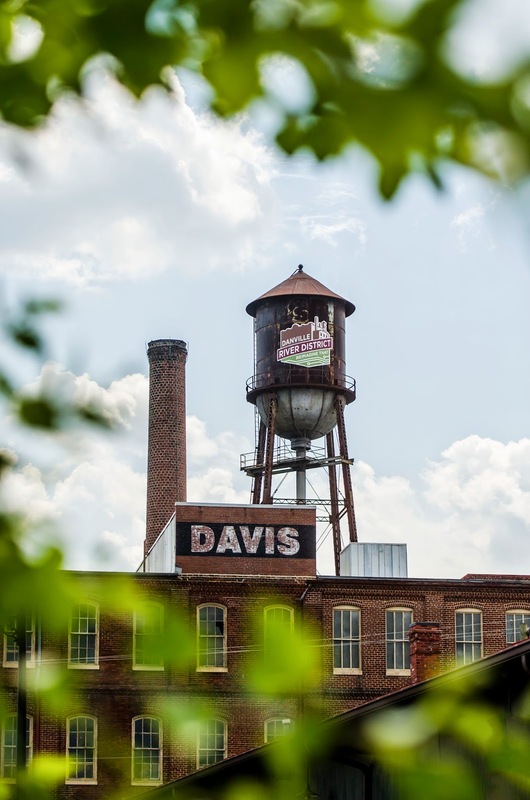 In the intervening years, the area’s identity has gone from the simple origins of the town of Danville to a center for tobacco warehouses to the River District, where ideas and innovation flow. 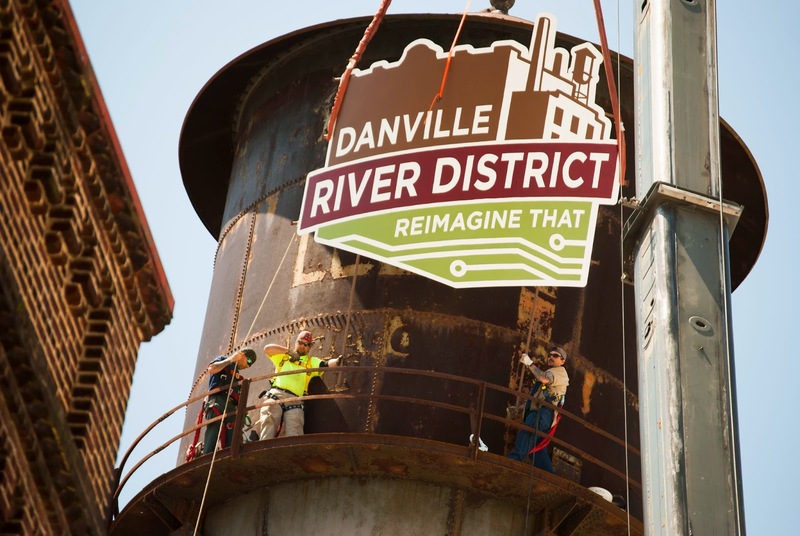 The Danville River District brand unveiled Friday evening at a community party asks community members and visitors alike to reimagine that image. It has three parts to it. 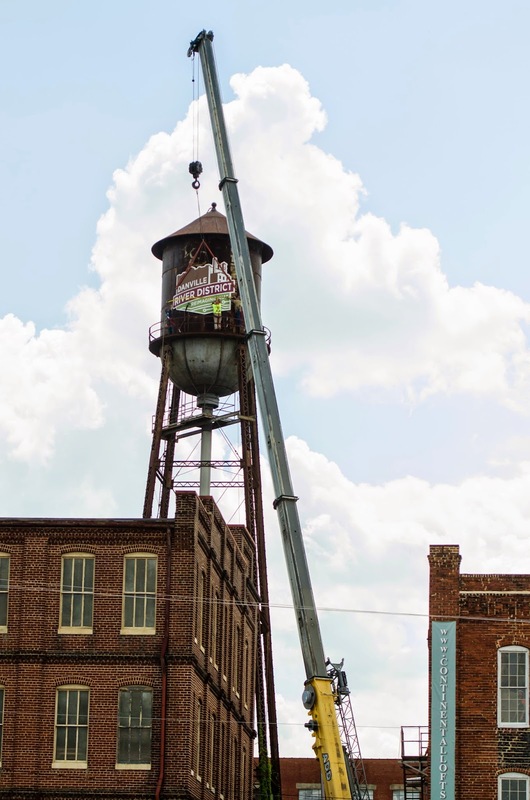 At the top is a brown and white silhouette illustration that represents the historic tobacco warehouse architecture of downtown Danville. The architecture seen in the image is that of 610 Craghead St. The next portion is a center band in a brick red tone. 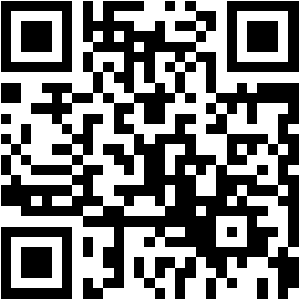 The final, bottom portion of the image is interchangeable. It mimics the appearance of flowing water but upon closer examination shows electronic circuitry lines. 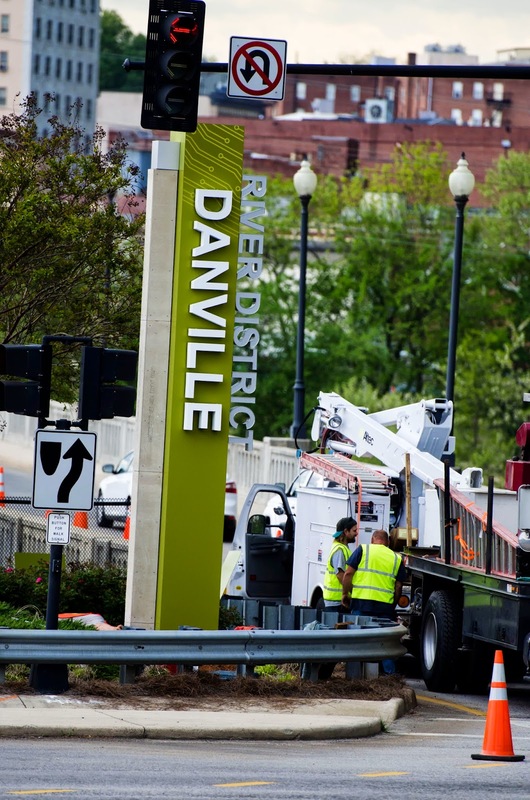 This represents Danville’s advanced technology focus as well as the city’s Dan River. 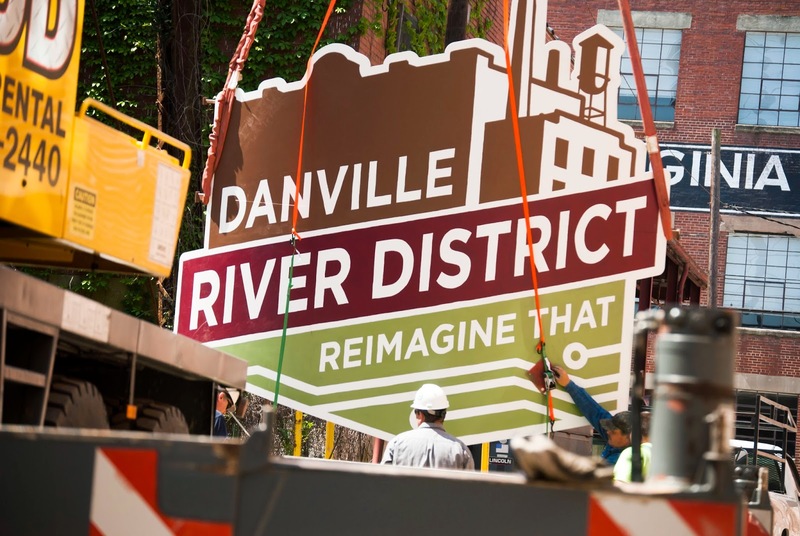 The image has a three dimensional look to it, presenting the motifs at a unique angle that suggests the fresh approach to the historic landmark that is Danville. 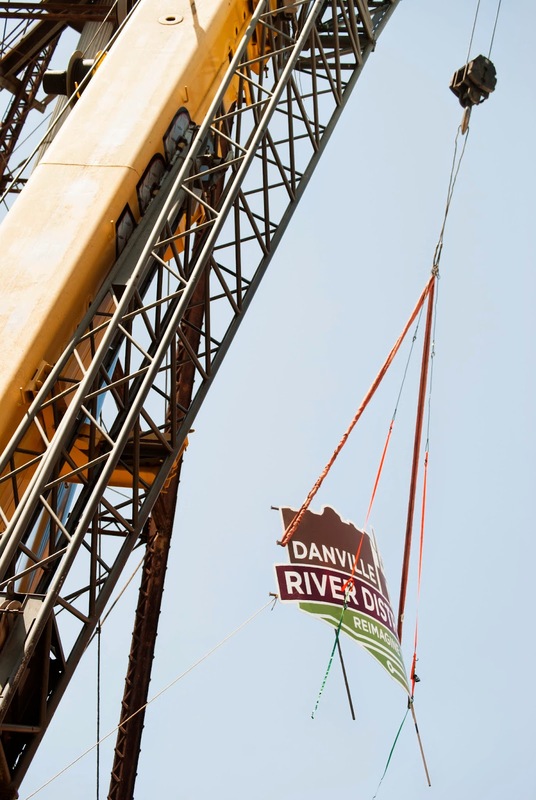 The brand has an upward angle that emulates the progressive and upward movement of the River District. Overlaying the whole image are the tagline’s words. 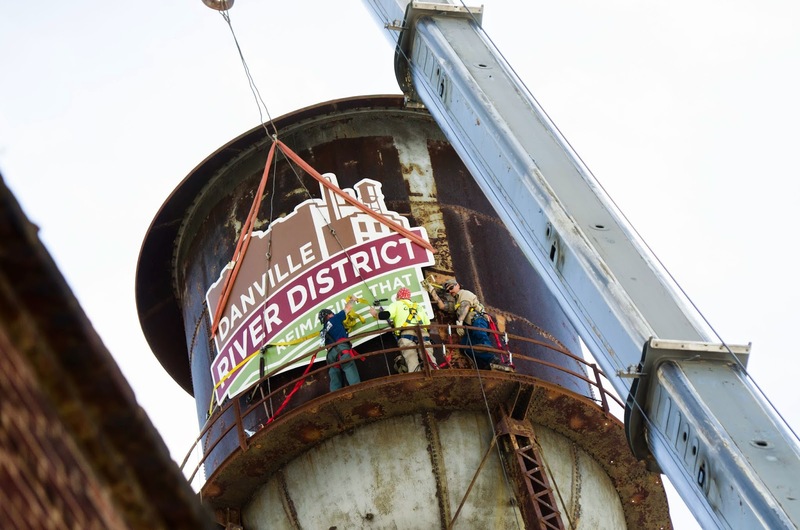 It can be repurposed for other events or activities, such as the Danville Mud Run or the River District Festival. The brand’s colors are brown, brick red, green and chartreuse. 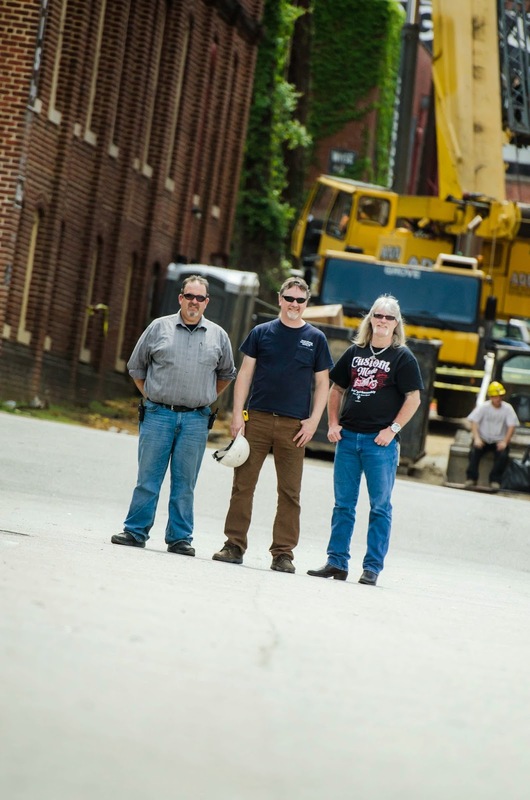 The narrative invites you to be a part of Danville’s renaissance, if not your own. It promotes the individual mobility each individual community member has to envision change and progress that revises the way things have always been done. “This is not an advertising campaign with a slogan and logo. 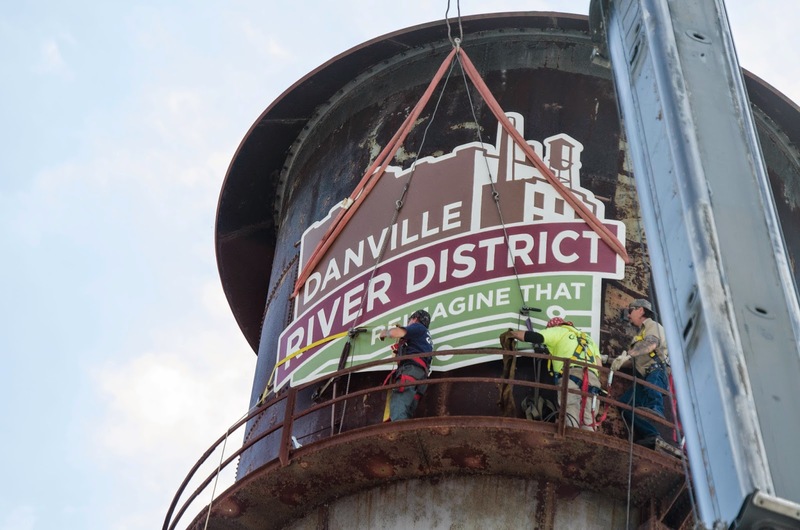 This is about our identity as a River District and it tells who we are and what our economic advantage is,” Danville Public Information Officer Arnold Hendrix said. The brand and its accompanying narrative are the product of about two years of research, professional consultation and preparation. 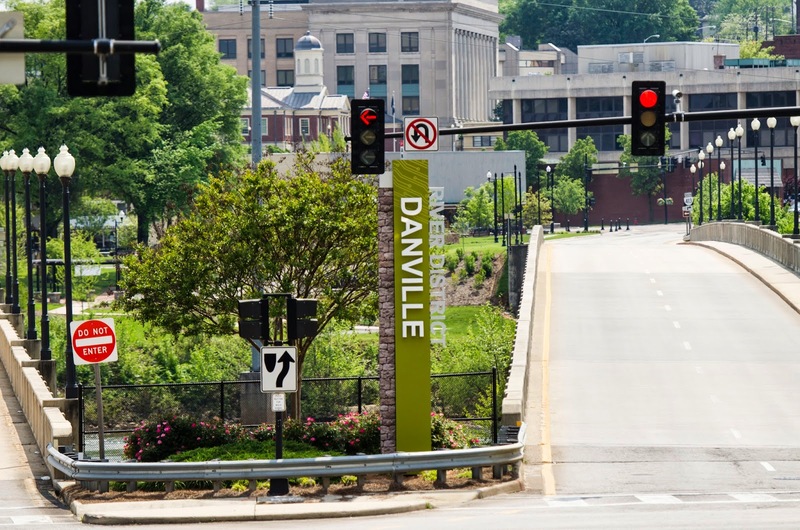 Danville used North Star Destination Strategies as the consulting agency for this project. 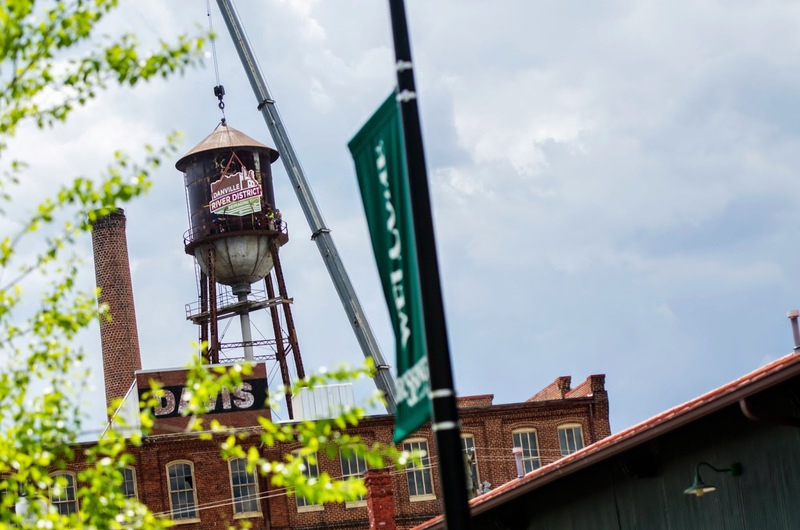 The process started in 2010 when a delegation from Danville visited Greenville, South Carolina. There they learned of the possibilities for a once-dying downtown. They also learned of the need to develop achievable projects, such as this logo and brand. The research portion included interviews and focus groups with public officials, businesses and civic organizations. 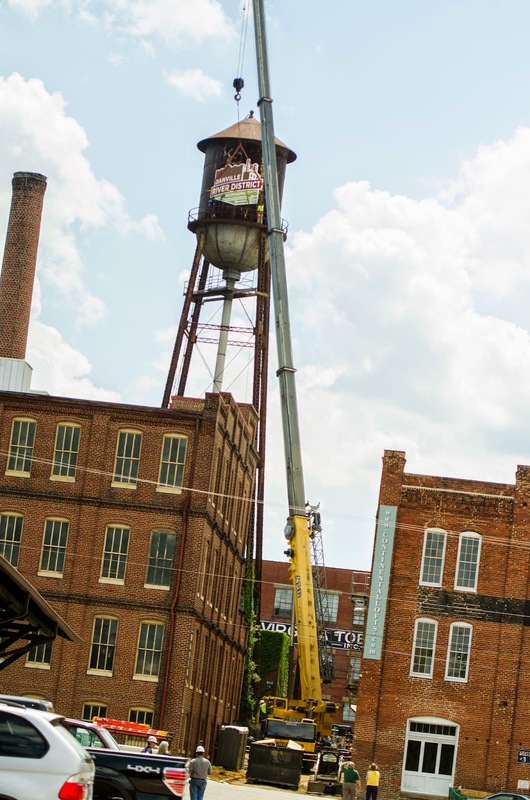 Representatives from Averett University, the Danville Area Historical Society, Galileo High School, the River District Association and more provided opinions on the River District’s previous successes, potential and ideas for the future. A team of three creatives worked on the design details of the brand and image. Even secret shoppers were deployed to ask questions about the area and its community. The North Star team wanted to get the unadulterated, true opinion of the River District. The terms adaption and repurposing came up repeatedly. Signage already is visible at various entry points to the River District. About six more gateway signs will be installed as part of the wayfinding project. Approximately 20 vehicular signs and multiple kiosks will be added, too. The next streetscape project on Craghead Street will begin soon. The work will introduce pavers and other elements seen on Main Street from Loyal through Newton Streets. The work on the pedestrian bridge connecting the north and south portions of the Riverwalk Trail will begin in June. “We have a development model in place for the River District. 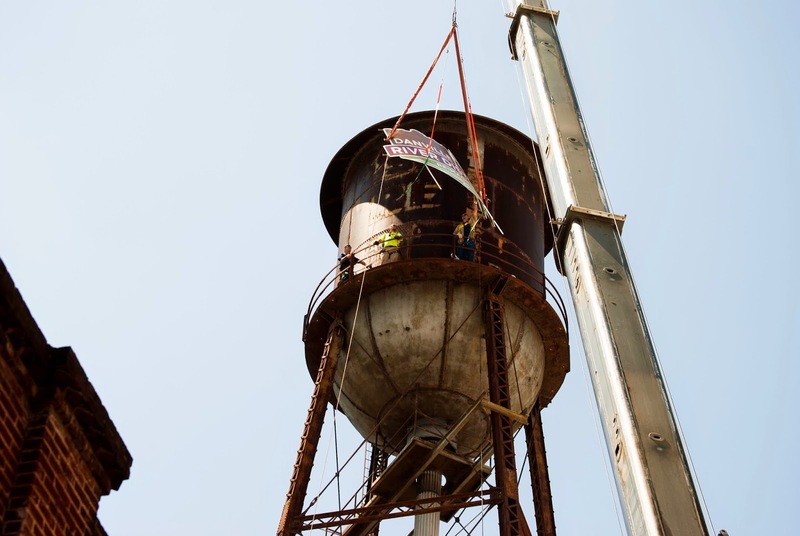 We have had great success with it, and now we want to celebrate that success and challenge everyone to see things not as they are, but as they could be,” Teague said Friday. 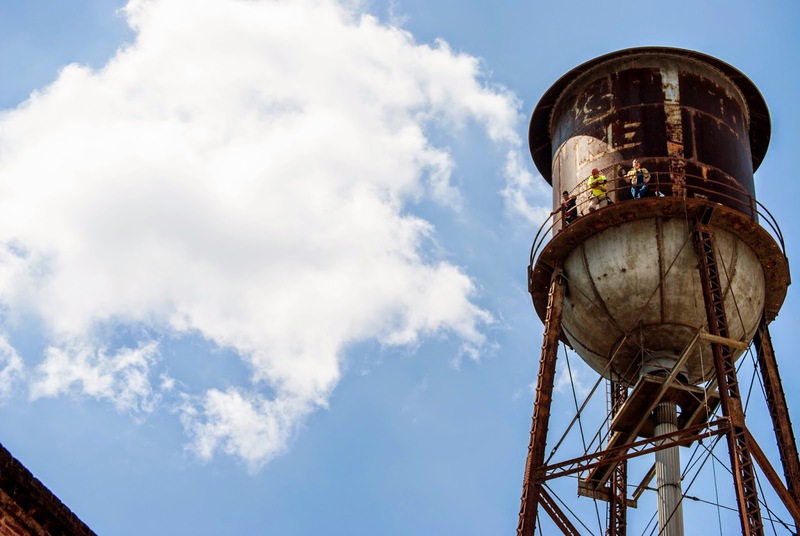 The evolution of an almost-forgotten downtown Danville to a vital center of activity isn’t going to happen overnight, city leaders were warned when they visited Greenville, South Carolina, in 2010. 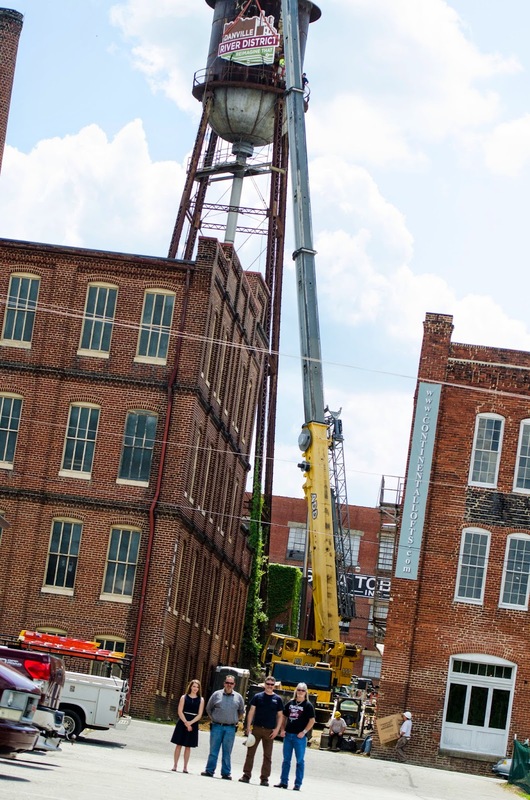 Another former mill town, Greensville began its work about 25 years ago — but it is paying off, with businesses and residents moving in and a downtown that always seems to have several things going on. 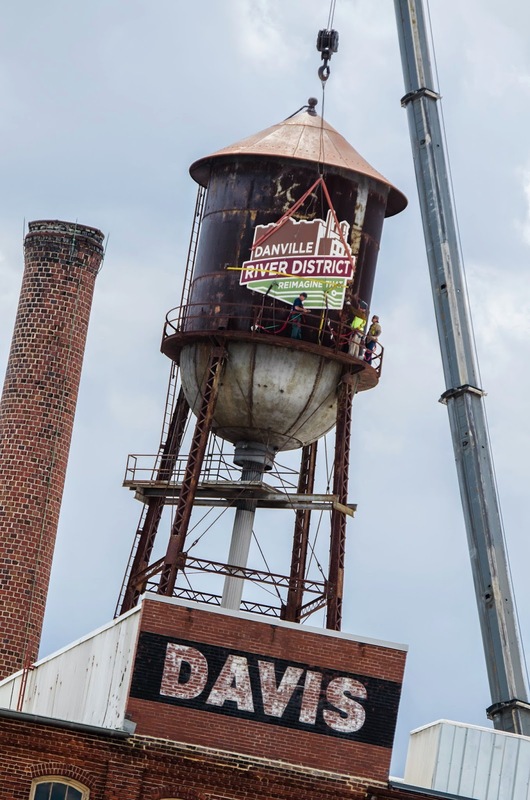 Signs that downtown Danville would be making a comeback began slowly. In 2006, Jerry Amburn opened his salon; next door, at the Purple Onion, downtown workers happily had lunch or met after work for dinner. In 2007, Lou’s Antique Mall opened. Since then, the Purple Onion closed and Jake’s On Main opened in its place. Those three businesses now face the newly-created Main Street Plaza, designed to be a destination with its centerpiece fountain, donated to the city by Japan Tobacco Inc. The effort has been a success: it’s hard to find the plaza deserted and even on Sundays people on the Riverwalk Trail or heading home from church often stop by to visit the fountain and take family photographs posed in front of it. Some stores — like Rippe’s and Abe Koplan Clothing — hung in during downtown’s decline instead of following many of the other downtown retail stores to the mall or shopping centers along Riverside and Piedmont drives. 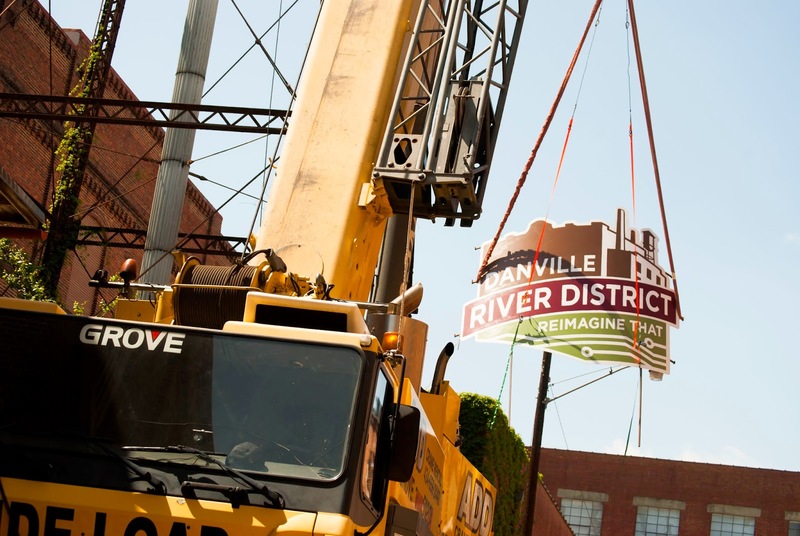 Officially dubbed the “River District” following the trip to Greenville (a trip paid for by the Danville Regional Foundation), the foundation’s CEO, Karl Stauber, also offered to pay $75,000 toward the cost of a development plan for the district. 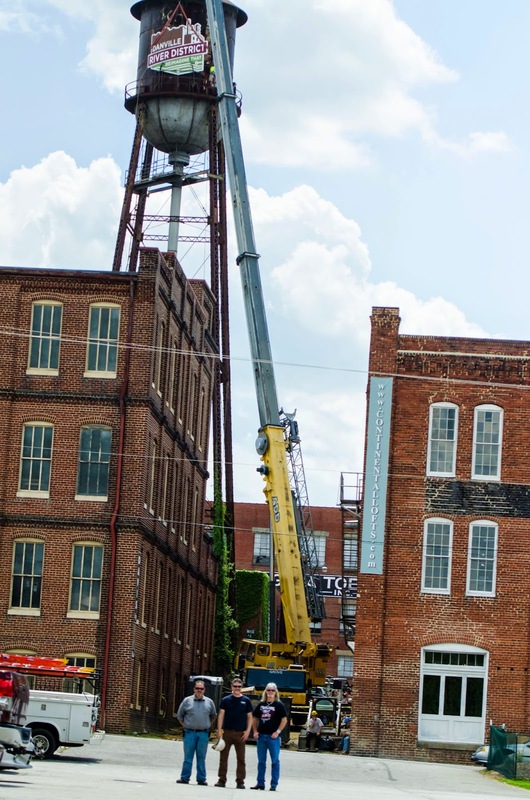 Buildings that have been renovated — the Burton Lofts, Lynn Street Lofts, the Ferrell Building and Pemberton Lofts — filled with residents quickly as they were completed. Traffic patterns changed and a streetscape project was launched to widen and beautify Main Street sidewalks and is being expanded to Craghead Street this year. Parking has been studied and a large parking lot was built on Newton Street, within walking distance of The Crossing at the Dan — the one area of the River District that was revitalized prior to the current effort — and Main Street. An enclosed garage is being built at Bridge and Loyal streets and the former Downtowner Motor Lodge site (again the DRF stepped in and picked up the tab for purchasing and demolishing the long-defunct building) is being eyed for future parking expansion. 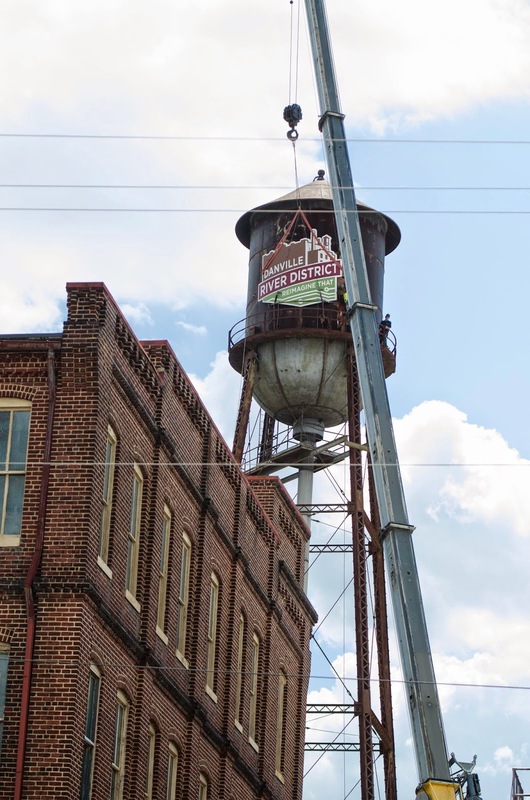 There have been block parties, musical performances at the centerpiece fountain and festivals downtown, designed to draw people in for a look at how the district is progressing. 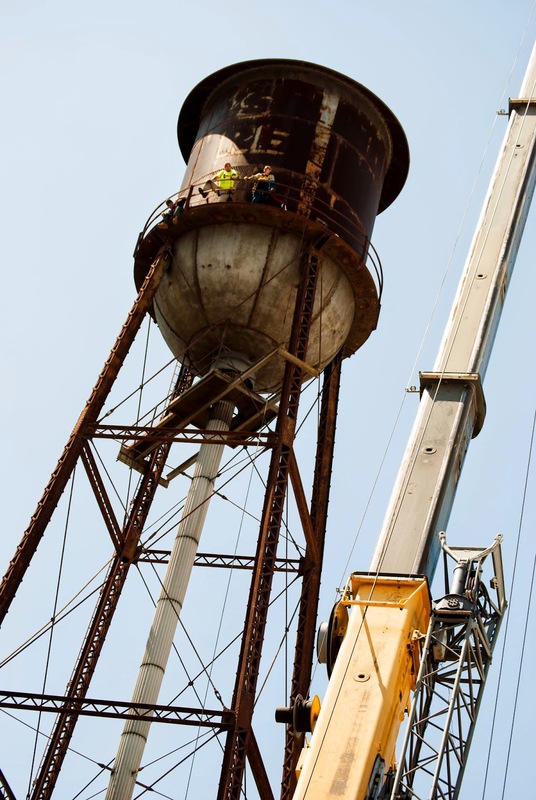 Overall, city officials estimate it has spent about $25 million so far on the revitalization project — but City Manager Joe King always smiles when he notes that investment has also inspired about $100 million in private investment. The work will not be done quickly. 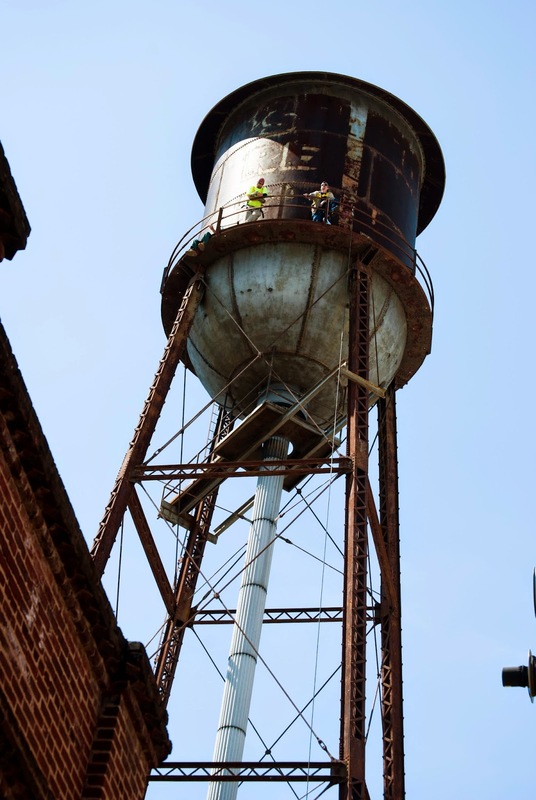 Continued work on street and sidewalk improvements throughout the River District will take years and while many of the long-empty buildings have been purchased by developers there are still many more that need new owners able to revitalize them. 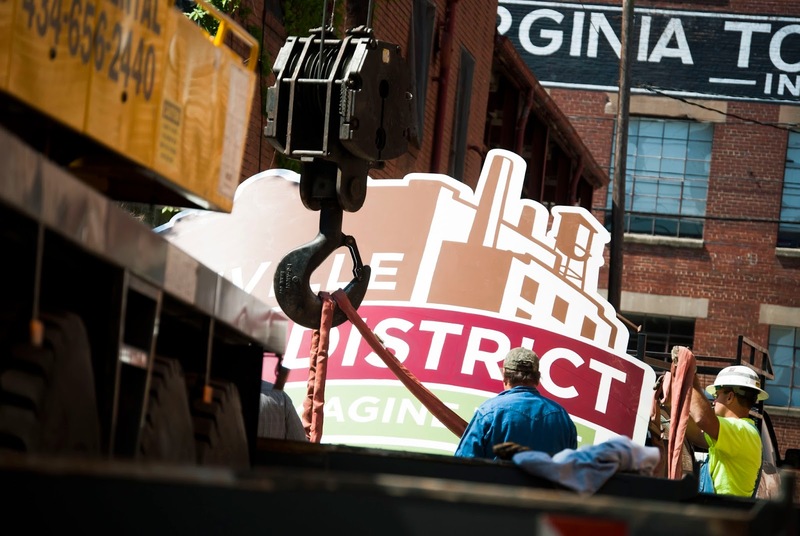 This weekend, the public is again invited to see the changes in the district, with a large party planned to unveil new signs welcoming visitors to the district, a new logo and slogan. 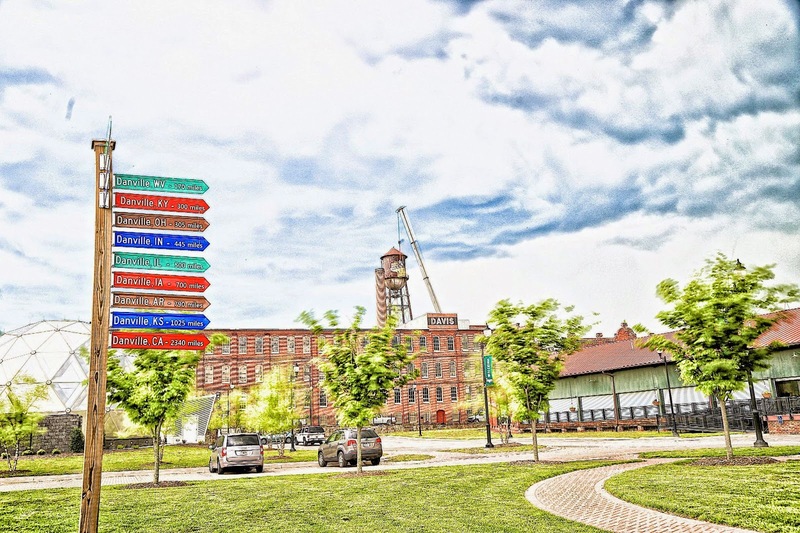 The sign project took months of work as plans were developed for a coordinated look that would still get visitors to where they wanted to go and point them toward parking. The party starts 6:30 p.m. Friday at The Crossing at the Dan on Craghead Street. Events for children, live music and a huge fireworks display are some of the events planned for the evening. The event is free and food and beverages will be available for purchase. Thibodeau reports for the Danville Register & Bee.